I participated 1999 in the SWY11 because it was a great opportunity and because I LOVE the world! It was an amazing experience and what I have found even more amazing is that it has extended more than I thought. 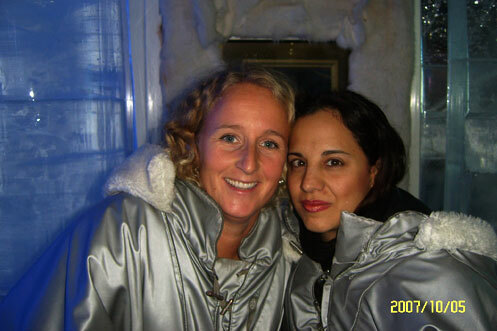 Last october 2007 I visited Sweden with my husband Arturo and contacted other ex-PY. Fredrik and Jenny had been in the SWY programme as well, so we all feel we are one big family. I had a lot of fun with them and they helped us learn more from Sweden. The food, the landscapes, the architecture and the people were just amazing! Stockholm is one of the most beautiful cities I have seen, as beautiful as Budapest or Paris. 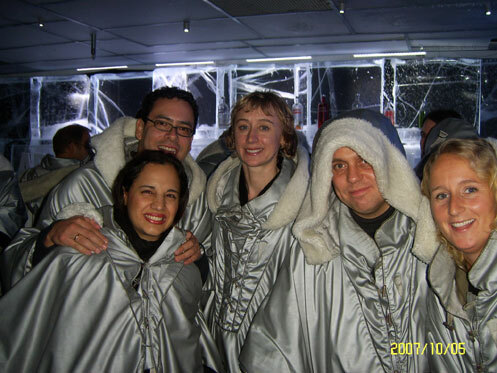 One of the experiences we made that I will never forget was the ice bar, where we drank in ice glasses, we sat in ice chairs among ice walls and put our ice glases on ice tables!!! Here some pics to share!! !